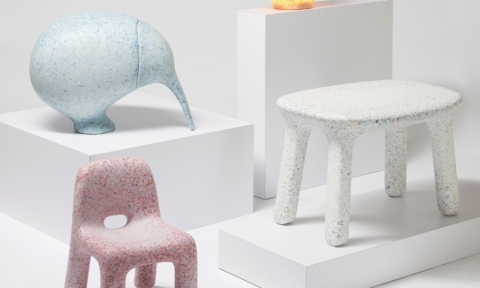 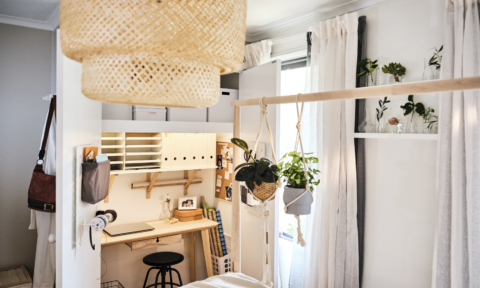 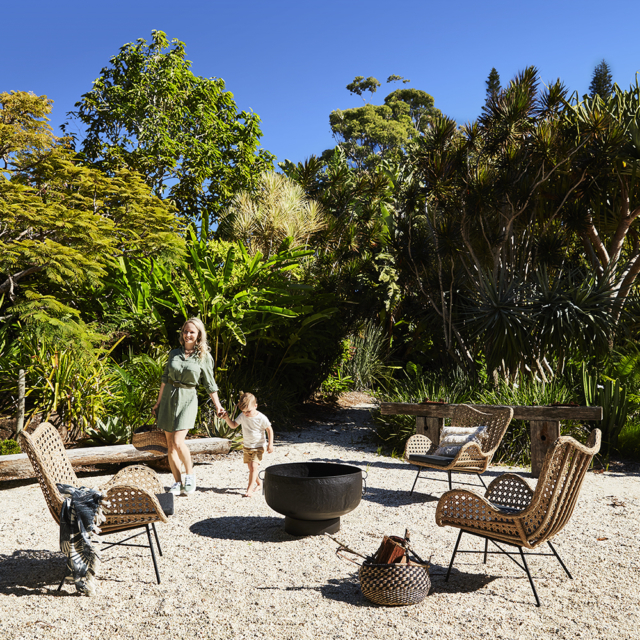 The days of ugly mass-market metal and and plastic outdoor furniture appear to be over if the latest offering from Early Settler is anything to go by. 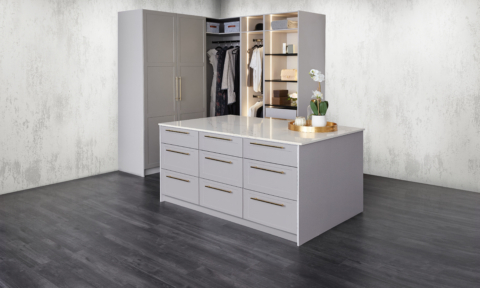 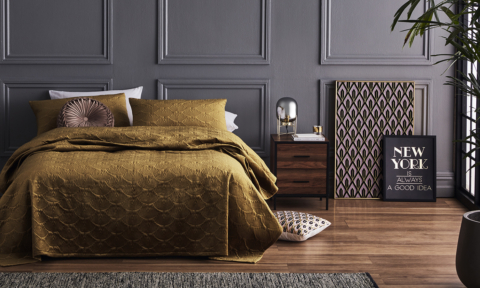 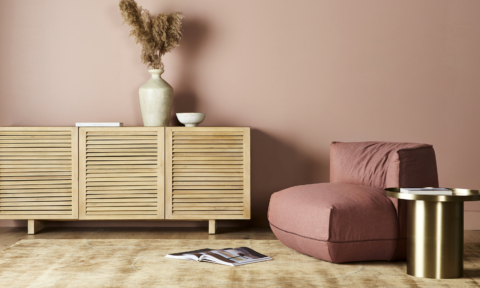 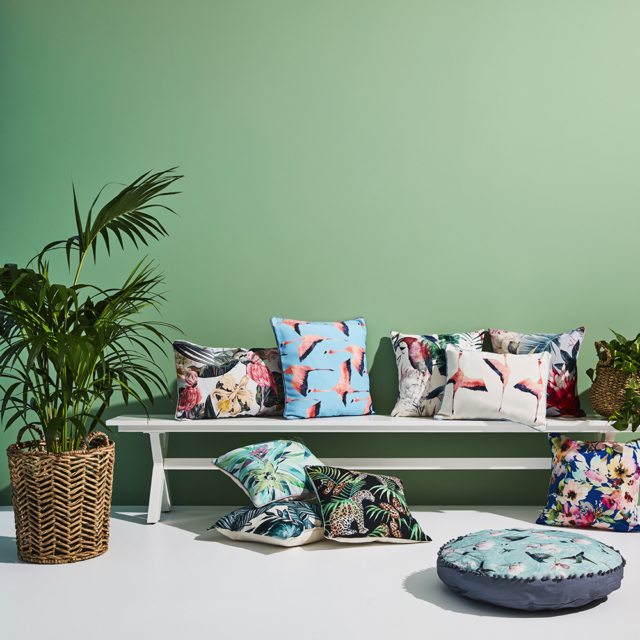 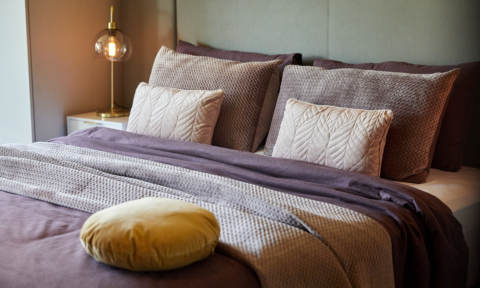 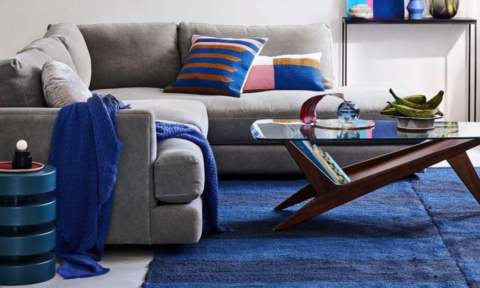 Comprised of four key themes (natural, urban, coastal and French), the latest range is a stylish collection that wouldn’t look out of place indoors too. 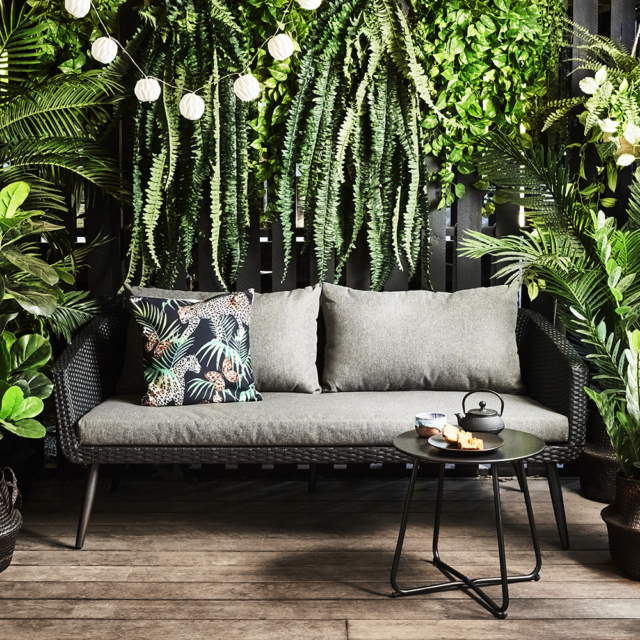 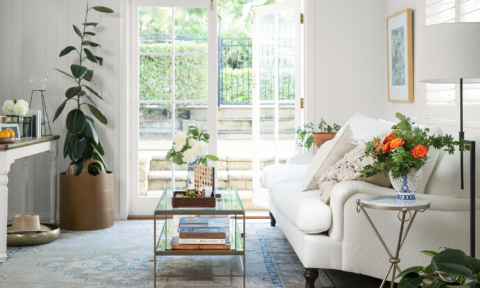 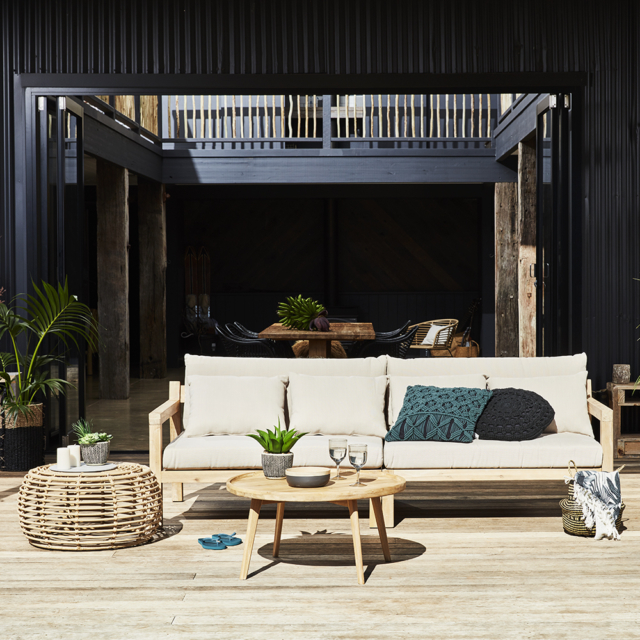 “Early Settler’s 2018/19 outdoor range is designed to tempt you outside, where you can reconnect with nature and enjoy your version of backyard bliss, whatever that might be,” says furniture buyer, Monica Porter of the range that includes dining, lounge and occasional furniture settings as well as ottomans, cushions and rugs. 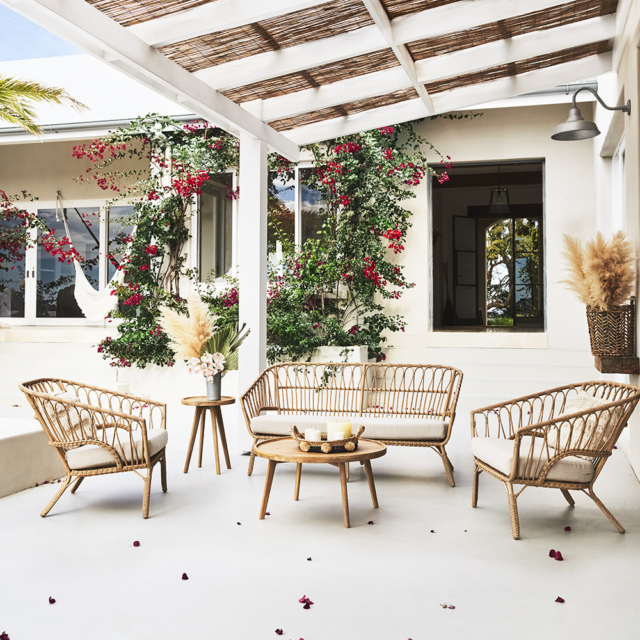 “The selection, design detailing and compositions available from outdoor furniture manufacturers have gone from strength to strength in recent years. 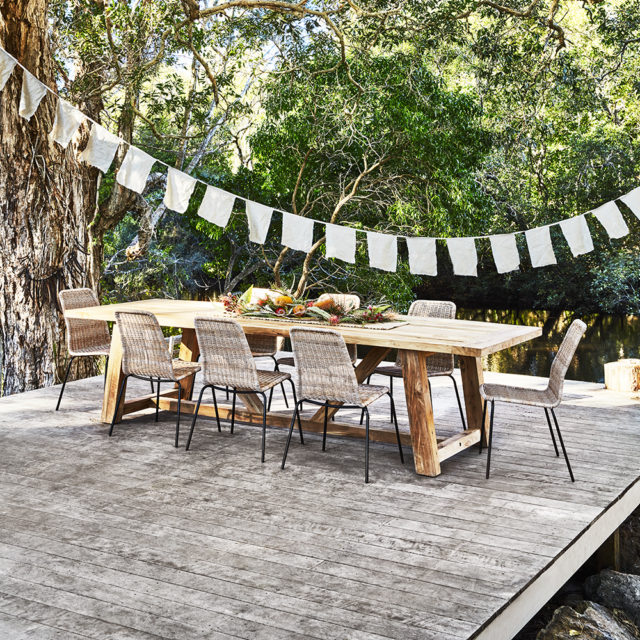 Nowadays, we see outdoor dining and lounge settings that are so stylish and well-made, they would not look out of place indoors,” says Monica. 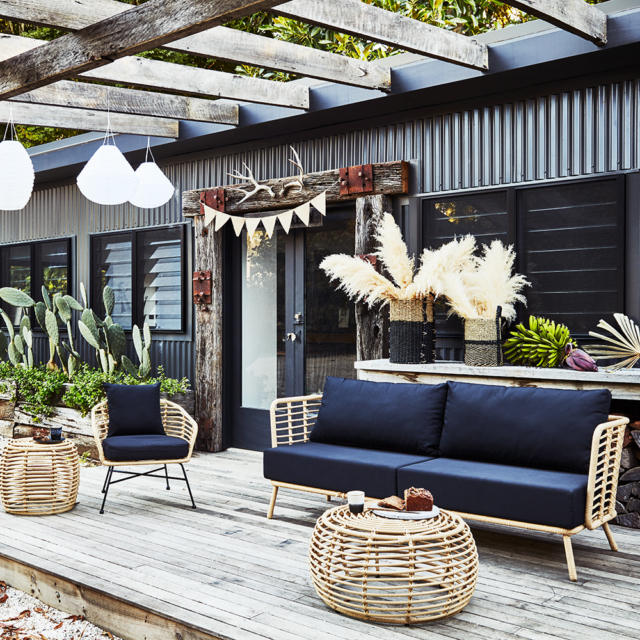 To celebrate the launch of the range, the brand teamed up with super stylist Heather Nette King and photographer Mike Baker for a shoot in Byron Bay that took place at multiple locations including the hinterland ranch that belongs to the owners of Byron’s famed ‘The Atlantic’ guest house and ‘Byron Bay Black,’ a luxe new beach house. 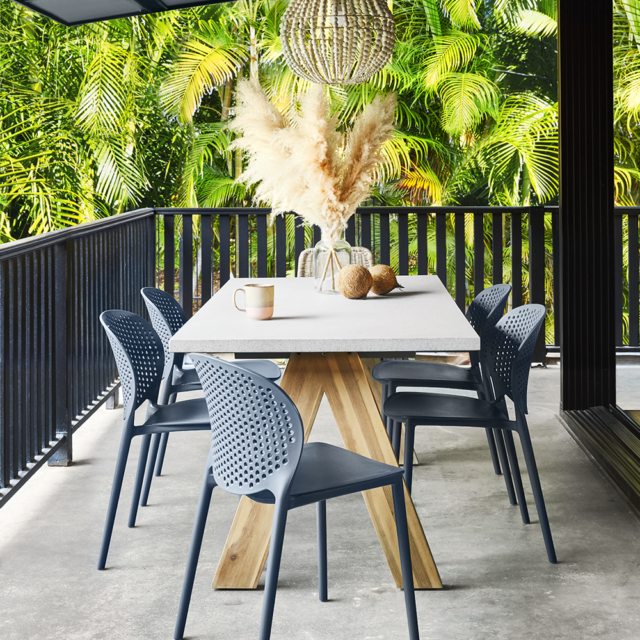 The ‘Natural’ range is crafted from all-weather, durable wicker and sturdy hardwoods and the highlight of the collection is the reclaimed teak dining table and woven version of a classic armchair. 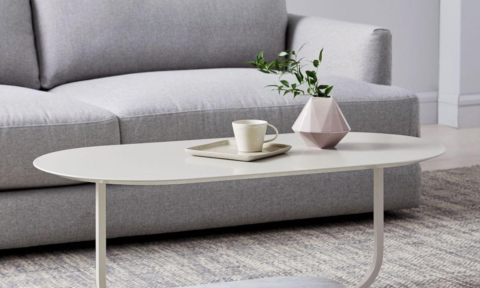 The ‘Urban’ range is comprised of clean lines and an array of modern textures including marble, metal and concrete. 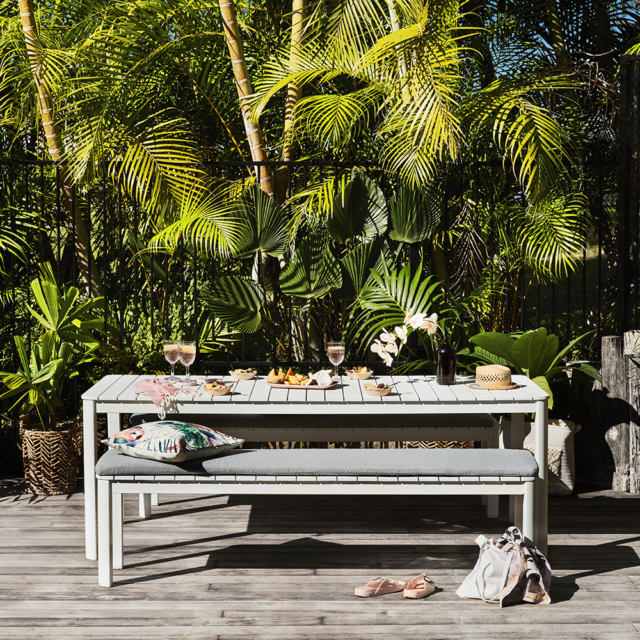 The ‘Coastal’ range draws heavily on the Hamptons aesthetic and the ‘French’ range includes majestic, stone-look tables and wrought iron chairs.